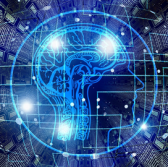 The Defense Department plans to host an event on Nov. 28 to gather ideas and identify potential industry partners for artificial intelligence software prototyping efforts. A FedBizOpps notice posted Wednesday says the 2nd Annual DoD AI Industry Day will cover the training data, algorithms, integration, infrastructure and testing areas. The department looks to standardize, cleanse, prepare and manage data for AI algorithm training, as well as create frameworks and tools to produce AI and machine algorithms. DoD also seeks methods and processes to integrate the technology into military platforms; storage and indexing tools that can support infrastructure monitoring efforts; and techniques to demonstrate AI/ML approaches. The Pentagon wants to collect market research information on data types, techniques and use cases associated with the five areas of focus.